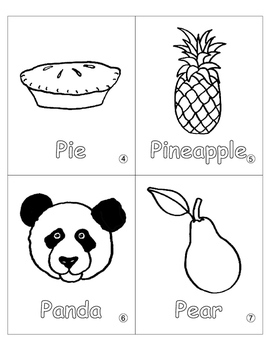 This mini coloring book is designed for pre-K and kindergarten early readers. It can be used to teach initial consonant sounds in small groups or to reinforce learning in independent stations, among other uses. The pages are numbered and lines are in place for easy cutting and assembly. The finished size is 4.25 x 5.5 inches.